Featuring distinctive designs and bold details, the traditional Stratco Outback Heritage Range is versatile in style and will suit both new and existing homes. Perfect as a home addition to increase convenience or act as a carport, this system is also a great option for those who want to create an inspiring outdoor area for entertaining. The Heritage Range is available in Dutch or Traditional Gable roofing designs, with the option for attached or freestanding construction. The Dutch Gable is available up to 7.5m in width, with the Traditional Gable coming in at 8.4m. 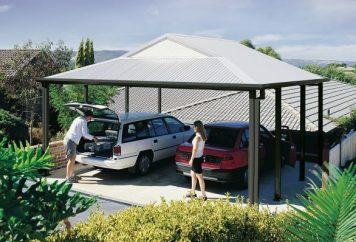 Both of these Stratco carports can be purchased in any length—customised to meet the requirements of each individual client and property. 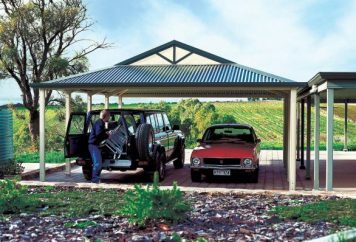 High gloss colours can also be selected for either of these steel carports that match perfectly with the Outback range. Contact us today on (03) 9728 5377 and we will be happy to work with you on delivering the best solution for your space. 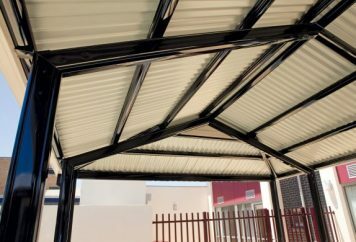 Our team has the experience and expertise with Stratco carports to provide advice and guidance, ensuring you choose the product that perfectly suits your lifestyle. When you deal with us, you don’t just get a salesperson – you get a team member who’s there to serve you to the best of their ability. That means, we listen and you get what you need! For a FREE Quote, just fill out this form and one of our team members will contact you within one business day.